A feel-good, child-friendly, typical Disney animation that is just slightly above average. It does not break any new ground in terms of story line or animation. Actually, the latter was rather bland considering the potential that laid in snow and ice animation. Was not wowed by the ice-castles, perhaps would have been in 3D? A braver and more daring company, think the old Pixar or the old Dreamworks, would have embraced the darker aspect of Hans Christian Andersen's source material and even perhaps give it a more sweeping and epic plot. It also lacked the witticisms that made "Tangled" a standout. Then again, since the primary target audience are children, what we have left here is definitely aimed squarely at them. One day, maybe Hollywood would give us a more adult-friendly cartoon (like the brilliant animes from Japan). 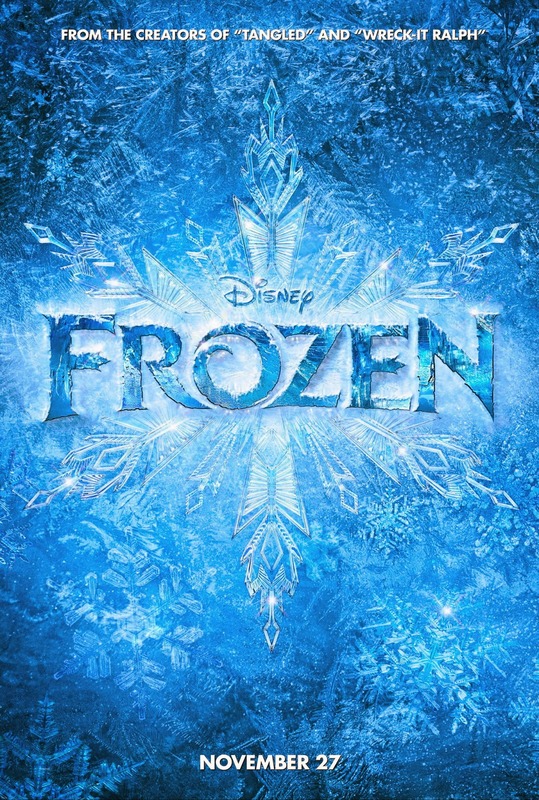 The best thing about "Frozen" is the sure to be nominated for Best Song in the Oscars, and most likely to win it, "Let It Go" by Idina Menzel and the excellent voice cast assembled by Disney. Who knew Kirstin Bell had such a lovely singing voice? It seems that singing is getting to be a very valuable commodity for an actor these days. However, it is a serious crime when you have in your stable, two Broadway belters but are grossly under-utilising them. Jonathan Groff does not sing in his role, instead we have the competent Santino Fontana duet-ing with Bell, and Menzel only have that one title song (at least it's a show stopper of a number) and a small duet with Bell. A powerhouse duet between Groff and Menzel, perhaps on love lost and being alone, would have surely brought the house down. The short film before the movie perhaps would have given me a clue to the main movie after it, a modern classic story but without no discernible improvements added in the flourishes. Stay tune for a cute end-credits. 3D may have enhanced some of the sequences. If for children a sure winner, but for adults, a pleasant way to spend almost 2 hours.